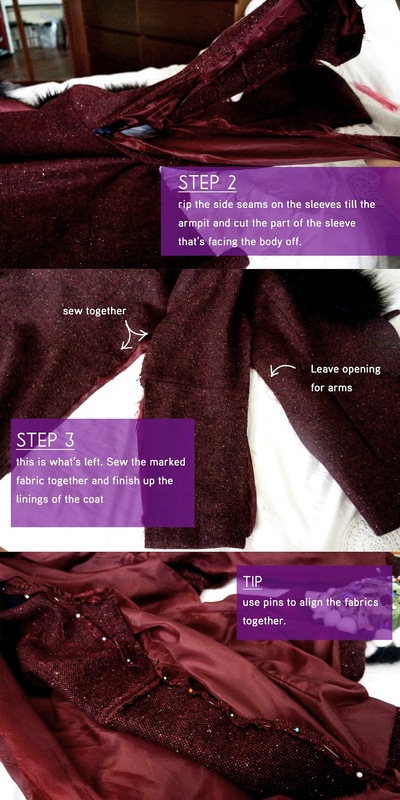 So here's as promised the DIY for the cape. 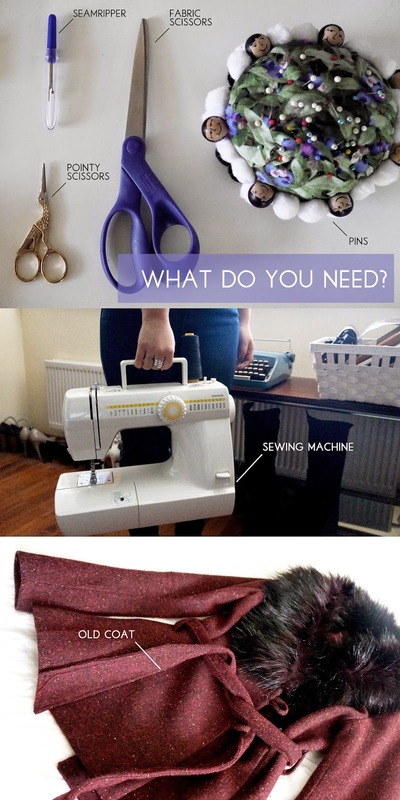 All you really need is a sewing machine and a little bit of patience. 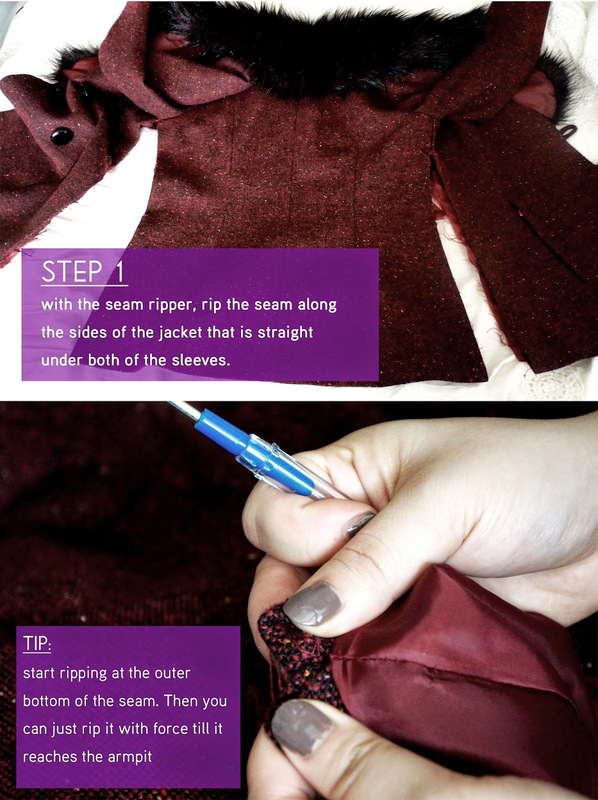 This DIY will probably cost you 2-4 hours if you're already familiar with sewing. 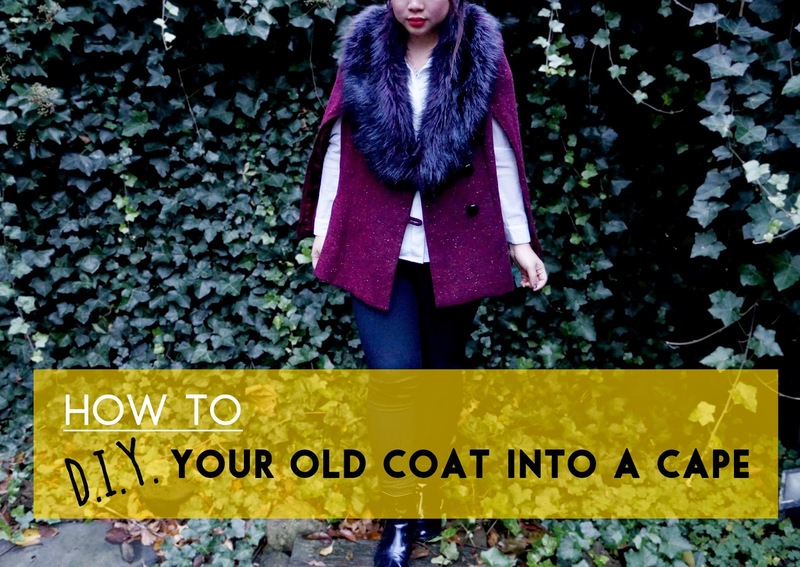 But on top of it all, it's a really fun DIY to do if you have an old coat laying around and want to revamp your wardrobe without really spending money. I hope the tutorial can be followed and the pictures are clear enough.. Go on and do the tutorial. And if there are any questions feel free to ask them in the comments below! 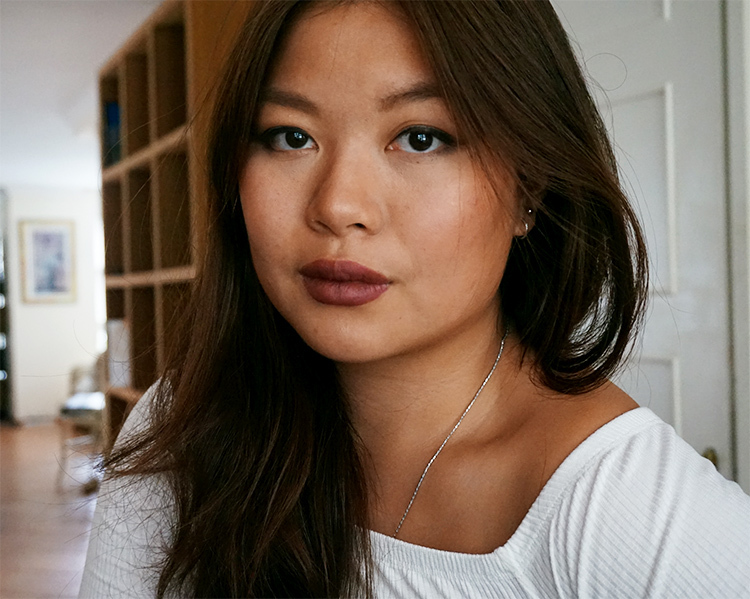 What do you think of the DIY? You create such amazing posts my dear!